It’s often assumed that ‘road tax’ pays for Britain’s roads. In fact, it’s general and local taxation that pays for roads. Proceeds from Vehicle Excise Duty – a tax on vehicles, not a payment for use of roads – goes into the Consolidated Fund, the coffers of the Treasury. 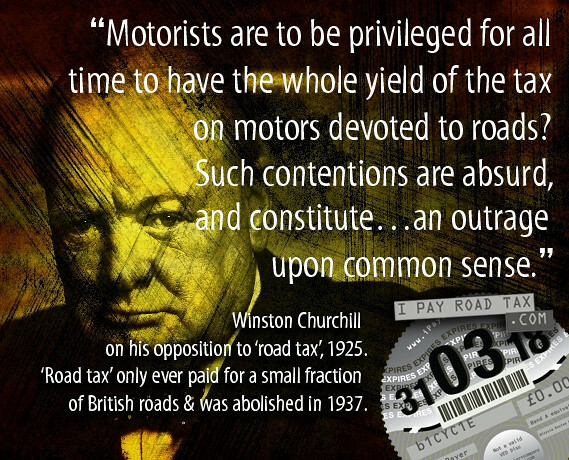 ‘Road tax’ – a ring-fenced pot of cash raised by motorists and to be spent on roads – was created in 1909, mortally wounded in 1926 by then Chancellor of the Exchequer Winston Churchill and no longer ring-fenced by 1937. Up until 1926, British roads had been – partially – repaired by the monies that accumulated from the tax on motoring. During the motorcar boom of 1896-1936, the British road network grew by just 4 percent, and the great majority of those new roads that were built were paid for not by motor taxation but from local authority funds. The road tax pot was called the Road Fund. This was administered by a Road Board. 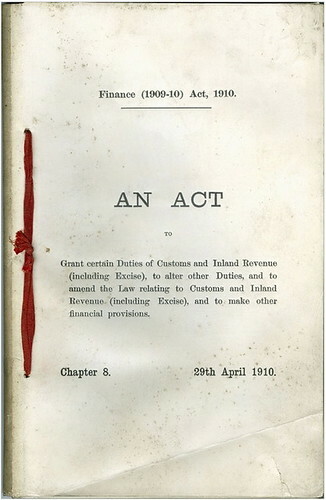 The Road Fund had been set up in the 1909/10 Finance Act, part of Lloyd George’s famous ‘People’s Budget’. Ring-fencing of taxes was heretical then, and it’s still heretical now (the TV licence fee, ring-fenced to pay for the BBC, is the exception that breaks the rule). Lloyd George said the Road Fund’s “first charge” was for improvements after damage done by cars; “power to build new roads” was only secondary. No new roads were ever built by the Board, and it sponsored few major improvements; much the largest part of its grants (over 90 percent in all) went towards small scale improvements in road surfaces. In 1919 the Ministry of Transport was created with a Roads Department. The Road Board became superfluous and was disbanded. The Road Fund continued to exist, but not for much longer. The Treasury, never happy with the ring-fenced Road Fund, constantly plotted against it. Churchill wanted to end the Road Fund’s ring-fencing once and for all. Closing the Road Fund would have met opposition from the Ministry of Transport; diverting cash from the fund less so. Churchill and his Treasury mandarins felt they were entitled to take £7m from the Road Fund because the Treasury had given the Road Fund a grant of £8.25m in 1919. A ‘raid on the Road Fund’ was feared by motoring organisations but they could do little to stop it. In 1927, Churchill made the first of his two ‘raids’ on the Road Fund. His budget of that year was the beginning of the end for the Road Fund. The whole of the Road Fund’s £12m was absorbed into national coffers (it took until 1937 for the Road Fund to be emptied; it limped on, in name only, until the 1950s). In this view he was wrong, and it’s a mistake made down to the present day. The UK’s inter-war road building programme was not paid for by motorists alone. In 1929 the Government authorised a £28m programme for an extension of the trunk roads programme and £27.5m five-year programme for classified roads. New build roads were paid for by general taxation, not from ‘road tax’. The 1930 Royal Commission on Transport report on road transport reported that two-thirds of the maintenance cost of roads – despite the existence of the Road Fund – was met by general and local taxation. In May 1936, Austen Chamberlain the told the House of Commons that the Road Fund would be wound-up the following year and absorbed by the Ministry of Transport. 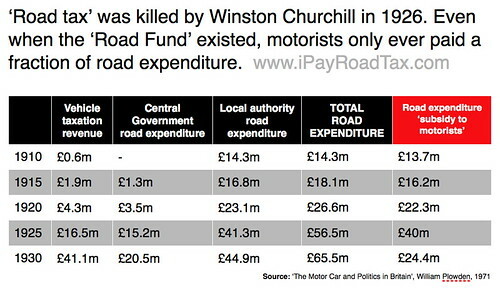 The Road Fund, raided by Churchill in 1926, halting it in all but name, was therefore defunct from 1937 onwards. Now, we have Graduated Vehicle Excise Duty, a tax on motorised emissions. In fact, this is similar to when car tax discs were introduced in 1921: cars with greater horsepower paid more. Then as now, road are darn expensive to build and maintain: motorists have never paid the full costs of the tarmac they drive on. Motorists have always been subsidised to drive. And motorists, from almost the first days of motoring, have believed the roads belonged to them. 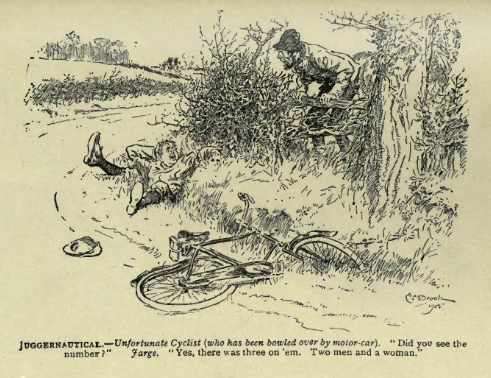 By 1907, two years before the creation of the Road Fund, motorists had forgotten about the debt they owed to prehistoric track builders, the Romans, turnpike trusts and bicyclists (the Cyclists’ Touring Club and National Cyclists’ Union had created the Roads Improvement Association in 1886). Before even one road had been built with motorcars in mind motorists assumed the mantle of overlords of the road. The roads were made for me; years ago they were made. Wise rulers saw me coming and made roads. Now that I am come they go on making roads – making them up. For I break things. Roads I break and Rules of the Road. Statutory limits were made for me. I break them. I break the dull silence of the country. Sometimes I break down, and thousands flock round me, so that I dislocate the traffic. But I am the Traffic. Forty years later, J.S. Dean, the journalist and head of the Pedestrians’ Association, wrote ‘Murder Most Foul’, a polemic calling for an end to “road slaughter” and an end to the motorists’ view that highways were made for their exclusive use. “The private driver is… most strongly influenced by the sense of ownership of his car, and, as he often believes, of the road as well. 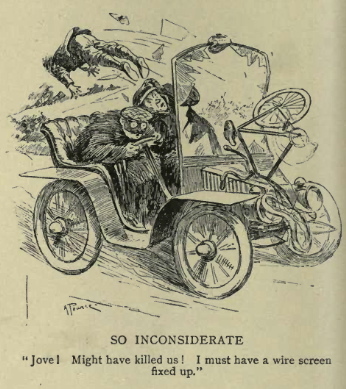 It is “his” car to do with as he pleases, and, as he often believes, it is “his” road too, and the other road-users are merely intruders who are there at their own peril. This belief (it is of interest to note) has its origin in the vicious and anti-social proposition, embodied for a time in the Road Fund and since sustained by the motor and road propagandists, that the motorists have a right to demand that the motor taxes should be devoted exclusively to the construction and “improvement” of roads, i.e. as experience has shown, to the construction and “improvement” of roads with special or exclusive reference to the convenience of the drivers and with a general disregard of the convenience and safety of the other road-users. Of course, one might as well say that the drink taxes ought to be devoted to the construction and improvement of public houses or the duties on cosmetics to the establishment of beauty parlours. From 1923 to 1938 the road tax disc security background text read ROAD FUND LICENCE. in 1939 the tiny text switched to MECHANICALLY PROPELLED VEHICLE LICENCE. Even though the Road Fund was no more by 1937, motor vehicle log-books continued to use the term. The RF60 log-books were issued by local authorities, some of which used the designation VE60, for vehicle excise. RF60 and VE60 log-books were finally phased out in 1977 when the newly-created DVLA took over the registration of vehicles. VED too obscure? Use ‘car tax’. This is both accurate and intelligible to all. ‘Road tax’ carries with it the whiff of ‘road ownership’ and, over the years, has caused unnecessary conflict between road users, all of whom have equal rights to use of roads. In short, motorists do not pay for roads, we all do. This entry was posted on Friday, November 27th, 2009 at 4:43 am	and is filed under No such thing as road tax!. You can follow any responses to this entry through the RSS 2.0 feed.